New York City (December 17, 2017) Junior welterweight CLETUS “The Hebrew Hammer” SELDIN, (21-1, 17 KO’s) of Long Island, New York lost for the first time on Saturday night against Canadian YVES ULYSSE JR., (15-1, 9 KO’s) at Place Bell in Laval, Quebec, Canada. The ten-round fight was the televised opener on HBO World Championship Boxing. Joining boxing legends Mike Tyson and Roy Jones Jr. as the only fighters to appear on HBO in consecutive months, Seldin was neutralized by his opponent, but Seldin still pressed the action from the opening bell against the elusive Ulysse. 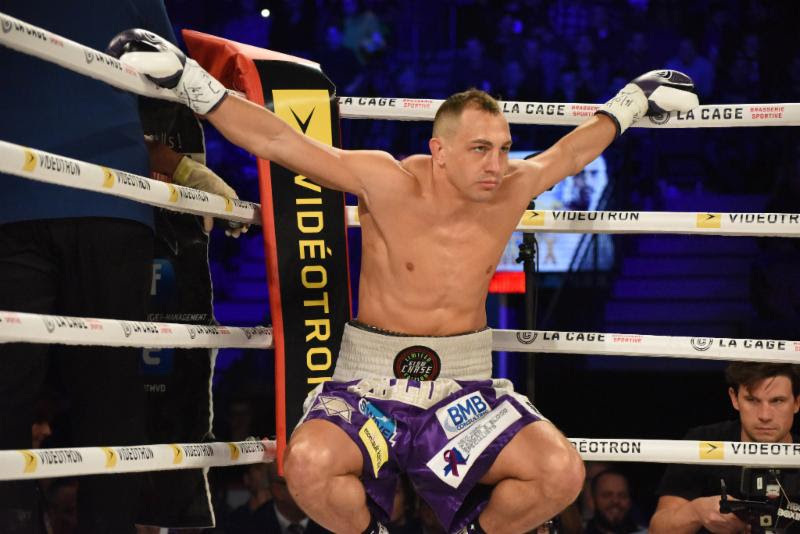 Despite being dropped in each of the first three rounds, Seldin valiantly continued throughout the fight in the hopes of hurting and stopping Ulysse. Seldin vs. Ulysse served as the TV opener for the main event featuring WBO World Middleweight Champion Billy Joe Saunders successfully defending his belt against former IBF World Middleweight Champion David Lemieux.